Separation and divorce is a stressful and very confusing period of life. Stress levels are exacerbated even further when children are involved. 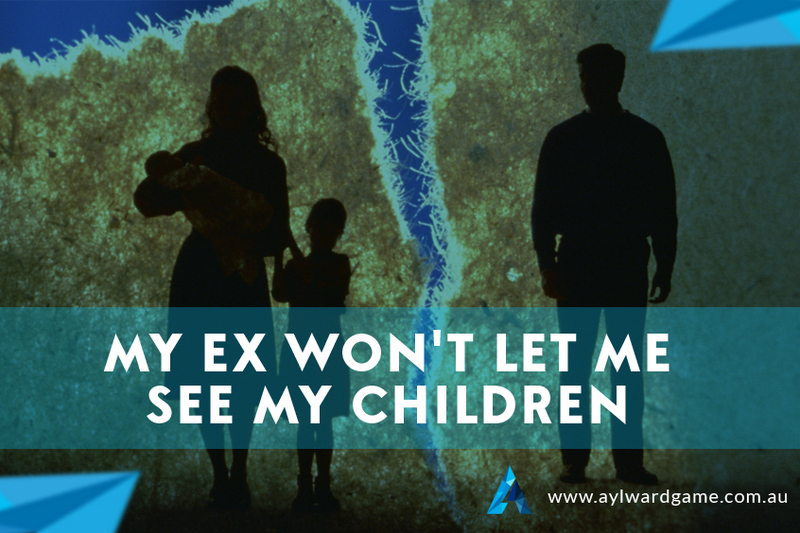 Many marriages and de facto relationships that break down will have children in the equation, and it certainly makes a clean separation that much more complicated. And divorce is difficult enough without one parent refusing visitation rights to the other. But can anyone stop you? Can’t see your kids? What can you do? Unless one parent is legally deemed unfit for one of a number of reasons, then both parents have the right to spend quality time with their children, whether it be a joint custody arrangement or a parenting agreement. In a perfect world, the separation or divorce will be amicable and an agreement regarding the children will easily be reached and adhered to. However, the reality is rarely ever that neat, tidy and simple. Let’s take a brief look at your options when it comes to child custody or visitation rights so you can spend quality time with your children. In this instance the divorce has gone to the courts and child custody will be decided during legal proceedings. The result could be an even 50/50 split, where the child or children spend an equal amount of time with each parent each week or month. Other examples of a joint custody split could see the children living with their mother from Monday through Friday, and spending their weekends with their dad, or vice versa. Or it could be one full week with the father, followed by a full week with the mother. Often these arrangements will be dependent on a number of factors and the circumstances of each parent, such as who has the most time to spend with the children. A parenting plan is a more informal and congenial “negotiation” between both parties. Usually mediated through a solicitor, the agreed upon parenting arrangement may or may not be lodged with the courts. If your parenting plan was not lodged with the courts, then it’s not legally binding. Does that mean you have no legal recourse? No, it does not. In conjunction with your family law firm, you can still start legal proceedings for joint custody or visitation rights if one parent won’t honor the parenting plan. If the parenting plan was lodged with the courts, and one parent refuses access to the children, then that parent is in direct violation of the legal agreement and can be forced to comply. The same applies to a joint custody or shared custody arrangement. By law, unless there are serious mitigating circumstances such as incidences of domestic violence, both parents have to comply with the parenting agreement. Even if your split with your partner is mutual and amicable and you both want to negotiate a parenting plan, it’s always wise to have a Brisbane solicitor who specializes in family law involved to negotiate the agreement and lodge it with the courts. In Brisbane, the law firm you can count on is Aylward Game Solicitors – your local family law specialists.